Making great bourbon involves many ingredients, each essential in its own right, whether it’s the corn and grains or the cool, clear Kentucky water. But one of the most crucial elements in shaping bourbon into the drink we love: the charred American oak barrels in which it’s aged. Barrels existed long before bourbon came along, originating centuries ago as a device for storing and transporting bulk goods. Oak was always the premiere wood choice: With its tight cellular structure, it has a unique ability to remain watertight, making it a sure thing for liquids like wine, whiskey, and Scotch. Oak barrels quickly replaced other ancient vessels made from lesser materials such as clay. 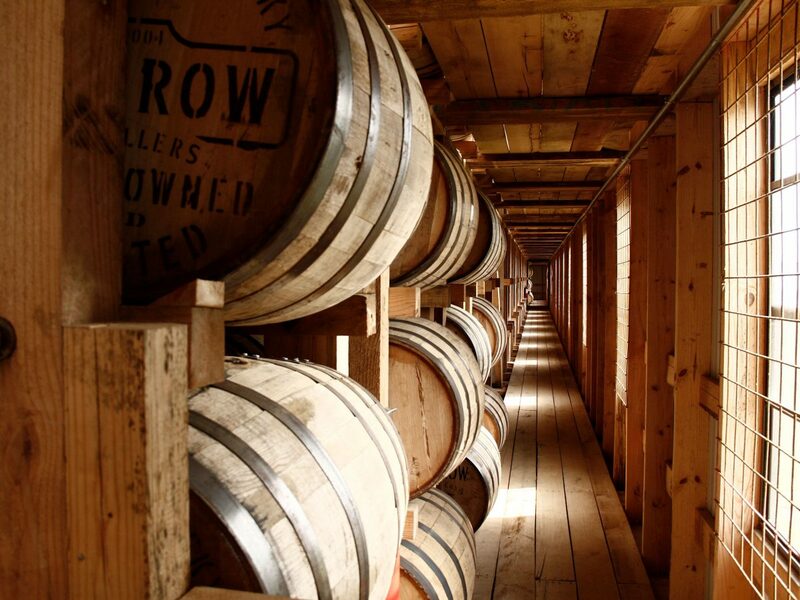 No one can say exactly who introduced oak barrels into the American world of whiskey. But in 1938, it became law when the United States passed the Federal Alcohol Administration Act, mandating that bourbon must be made using only newly charred white oak barrels. This was not only a benefit to oak growers, but also to bourbon drinkers. As organic material, oak has a porousness that interacts with the spirit as it ages. Environmental factors, such as temperature and humidity, make the wood expand and contract, imparting elements that enhance the bourbon’s flavor, color, and texture. Oak infuses bourbon with a profusion of wonderful flavors: vanilla, toast, caramel, smoke, spice, coconut, dried fruit. The char of the barrels gives the bourbon its amber-gold hue. As the barrels mature, the wood subtly exudes acidic elements and other compounds that give the bourbon body, character, and a rich texture on the tongue. Because bourbon can be made only in newly charred barrels, obviously barrels have a limited lifespan in the bourbon world. For years, the spent containers sat discarded in stockpiles. But in the past decade, the market for used bourbon barrels has blown up. Rough-hewn wood is hot in the home design realm, whether it’s used as an accent wall, a statement piece, or for unique ware like a whiskey barrel cigar holder.